I love making traditional desserts a little bit healthier. 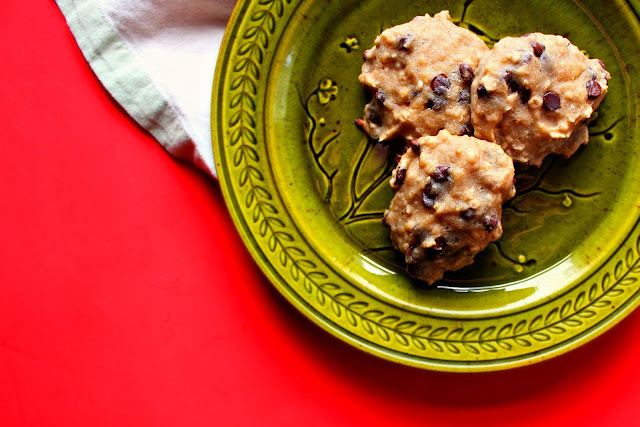 These delicious and moist Chocolate Chip Quinoa cookies are a perfect example. Loaded with chocolate chips and chunks I wouldn't call these cookies totally innocent, but they are way better for you than traditional chocolate chip cookies. They're also suitable for vegans, people who avoid grains and soy, and gluten intolerant folks. They're easy to make and made with nutritious and high-protein flours like quinoa and buckwheat, alternative sweeteners like coconut sugar, and better-for-you fats like coconut oil. I threw this recipe together on a whim last weekend and it was a hit in my house. My husband ate most of the cookies in a day (which rarely happens these days as he tries to limit his dessert intake). I was shocked and amazed by how much he enjoyed these as I really didn't know how they'd turn out (and he's a bit of a cookie purist). This recipe is definitely going to be made again and again. I also made a youtube recipe video so you can follow along with me. Please check it out and subscribe to my channel for more. I plan to make many more videos this year, provided I can find the time. I hope you like these cookies as much as we did! Add coconut oil, olive oil, vanilla, sugar, liquid sweetener, cocoa, cinnamon and stevia to large mixing bowl. Whisk or blend with a hand mixer until fluffy. Blend in flax "egg" if using. Add in remaining dry ingredients (not chocolate), stirring together by hand until well mixed. Then stir in water or non dairy milk until a smooth dough forms. Stir in chopped chocolate or chocolate chips until well distributed. Cover and chill 30 minutes in fridge (optional). Line or grease a baking sheet or two. Scoop chilled or un-chilled dough out and drop on to sheet, leaving space around each cookie to allow them to spread. Bake in preheated oven for 10-11 minutes. Serve warm! Valentine's Day is coming and I know what I'm making...do you? I am kind of in love with this easy-to-make Marble Cheesecake dessert. 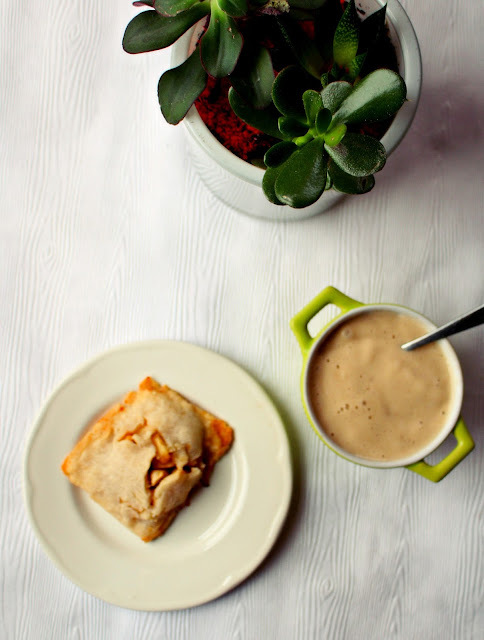 It's super creamy and delicious, but also fairly low in sugar, and manages to conceal 6 cups of sweet potato! I'm so in love with it that I have been making it every weekend for several WEEKS -- sometimes twice! Not kidding. When I say this dessert is easy, I mean it. It's no-bake and comes together in less than half an hour, then sets in the fridge or freezer in 1-3 hours (depending on how you want to serve it). If you can boil water and operate a blender, you can make this. 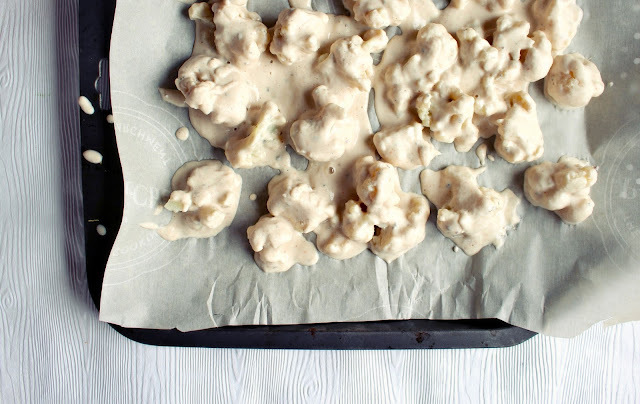 Unlike most no-bake vegan desserts, there are no cashews in this. I don't eat tree nuts (I have a food sensitivity) so I use coconut milk and coconut oil instead, and before you yell at me --> coconuts are not tree-nuts, they're drupes, and most people who are sensitive to tree nuts can tolerate coconut. This dessert can be served two delicious ways. If you set it in the freezer it will be like a super rich ice cream, but if you set it in the fridge it will be like velvety mousse. The choice is yours! 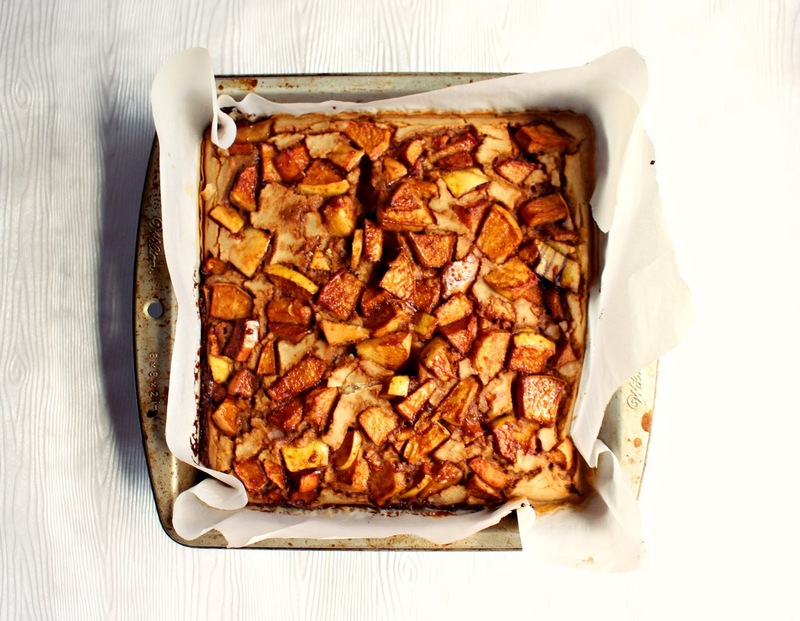 The secret ingredient for this dessert is Japanese sweet potato. It's pretty much my favourite root vegetable of all time. If you've never encountered it, it looks like a normal sweet potato, but it has purple-ish skin and is white on the inside. It's more dense than regular sweet potatoes and has a sweeter flavour. If you don't know where to find them, check your local Asian grocery store or Whole Foods (if there's one nearby) as they will likely have them in stock. 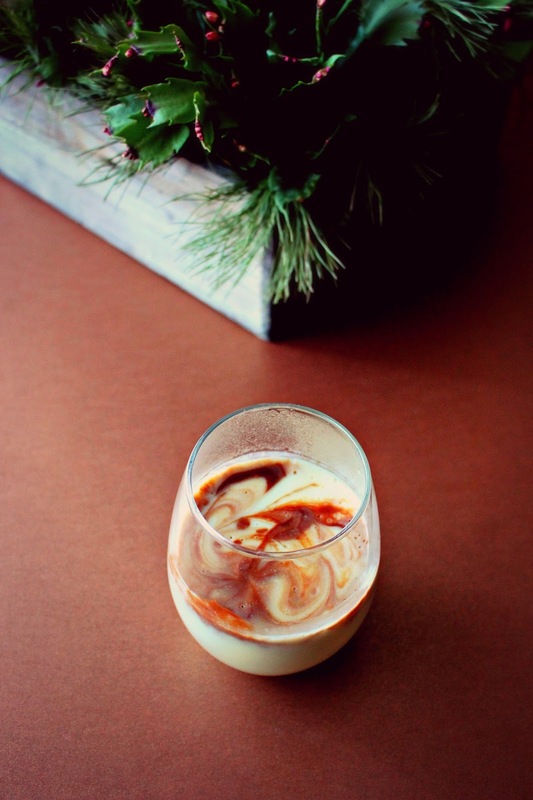 If you can't find them, you could use butternut squash or regular sweet potatoes or purple sweet potatoes instead, BUT the colour of this dessert will be different and you will potentially need more sweetener. 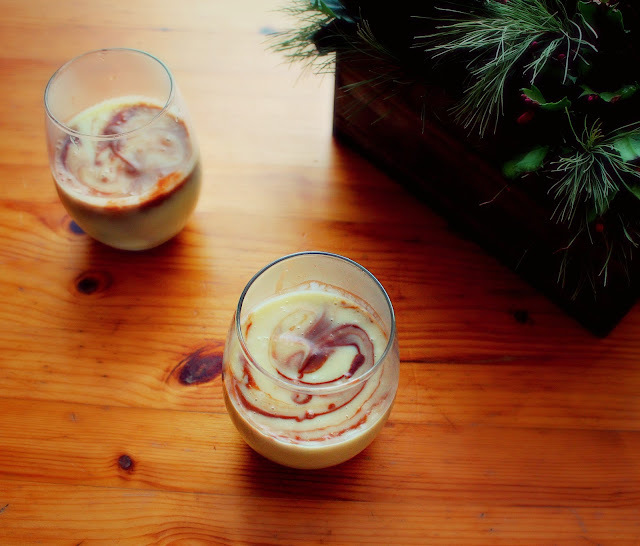 I chose to use this type of sweet potato because the flesh is white -- it makes the mousse look like marbled white and milk chocolate. If you're wondering if this dessert could possibly taste good (due to the secret ingredient), trust me, it's awesome. My normal-food-loving husband actually says it's almost too rich for him! If you're wondering why it tastes like cheesecake, I can't totally explain it. For some magical reason, white sweet potato + coconut + sweetener + acidity = cheesecake. To make this sweet treat, all you need to do is peel, chop and boil 6 cups of white sweet potato, then blend it with a bit of cooking water and the ingredients listed below for a few minutes in a high speed blender. Then pour 1/2 of it into cups or glasses, then blend what's left with chocolate. Then swirl in the chocolate mixture with the original mixture to make a marble look in the glasses. Then freeze or chill and serve! Super easy, super tasty. Blend all of the above ingredients together in a blender until super smooth. Transfer 1/2 of the mixture to a glass or plastic freezer-safe tupperware container with a tight fitting lid (best option if you want this to be like ice cream) OR if you want to be fancy, transfer 1/2 of the mixture to nice looking glasses, dividing it between 4-6 of them (if you want it to be like mousse). Puree mixture until super smooth. 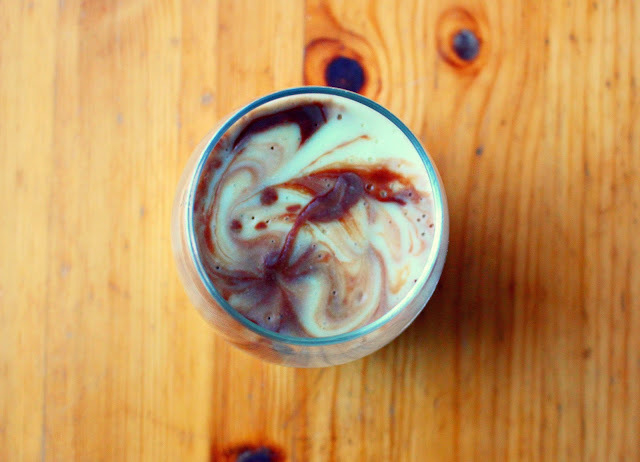 Add the chocolate mixture to the glasses, spooning it in a little at a time while you swirl the two mixtures together with a fork to create a marble look. Places glasses in the fridge to chill for at least 2-3 hours. I don't recommend freezing your glasses as they might break. Enjoy or save for later. Add the chocolate mixture to the center of the container of the white mixture, then swirl the two mixtures together with a fork or spoon to create a marble pattern. Seal the tupperware container and chill in freezer for at least 1.5 hours. If you freeze for two hours it will be like ice cream, if you transfer to the fridge for 30 minutes after freezing for an hour it will be like mousse. When ready to eat, scoop and serve. Happy Holidays! I owe you one big apology if you follow my blog! I am so sorry that I have fallen off the grid for so long. Work and life have kind of swept me away these past few months, but I am hopeful the 2018 will be a great time to get back into Baking Backwards! To celebrate, I baked you some cookies. 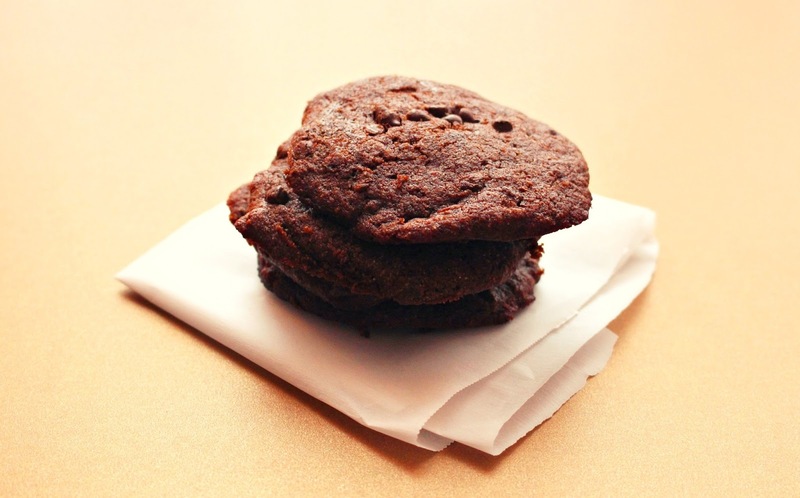 These Double Chocolate Gingerbread Cookies were a bit of an experiment. I threw a bunch of healthy and not so healthy ingredients together and these soft, cakey spiced double chocolate cookies emerged. They are really good! They're also vegan, gluten free, soy-free, nut-free, and grain-free -- perfect for friends or family with allergies or sensitivities. My husband is my official taste tester and gave these a rave review -- he is not gluten free or vegan and eats desserts out often -- so basically you could say he has a normal palate. He doesn't automatically tell me that my desserts are good -- he gives me honest feedback every time. High in protein and minerals, not a grain but a pseudo-grain seed. Bitter taste that can be overpowering if it isn't balanced out by another flour in baking. Light texture that's good for cakes and cookies. High in protein and minerals, not a grain but a pseudo-grain seed. Somewhat bitter tasting but easier to use on its own. More dense in baked goods, can be a little sticky if not mixed with another flour. I find it gives a slight nut-butter-like flavour to baked goods. Higher in minerals and vitamins than table sugar. 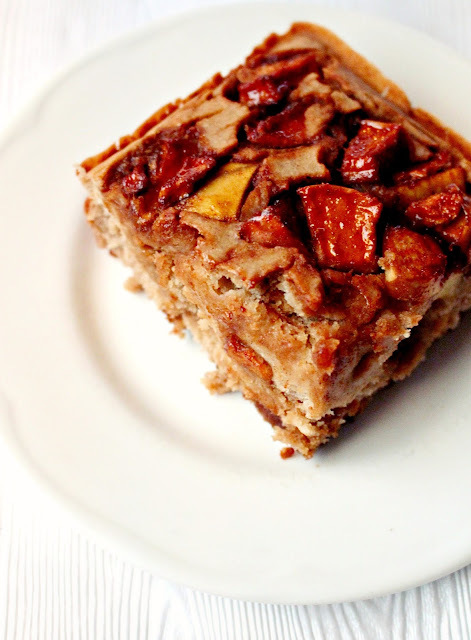 A low-glycemic alternative to brown sugar. You can substitute brown sugar here. Sweet, high in minerals and vitamins. Used here as a binder and sweetener. I used ginger, cinnamon, cloves and salt for a gingerbread flavour. 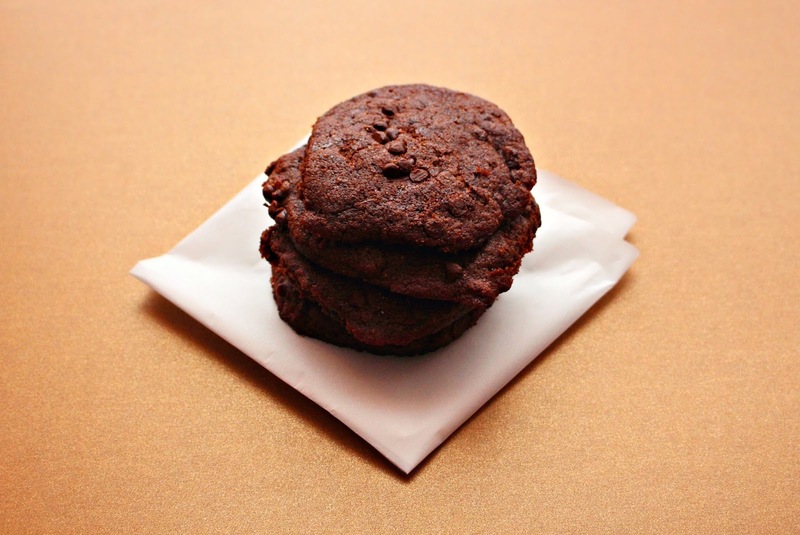 You can use either cacao or cocoa powder in this recipe. Cacao is healthier for you as it is much higher in antioxidants than cocoa. Not healthy but a kind ingredient to use and keep in your pantry. I use Enjoy Life brand. Great oil for baking, especially in cookies. Melts easily, I used softened but not melted in this recipe. Heart healthy oil. Not ideal for high heat but I like to balance out the coconut oil flavour in this recipe with a small amount. Adds sweetness and a lovely aroma. As you probably noticed, these cookies aren't as innocent as the majority of my other recipes, but at Christmas I like to bake without holding back on fat and sugar. 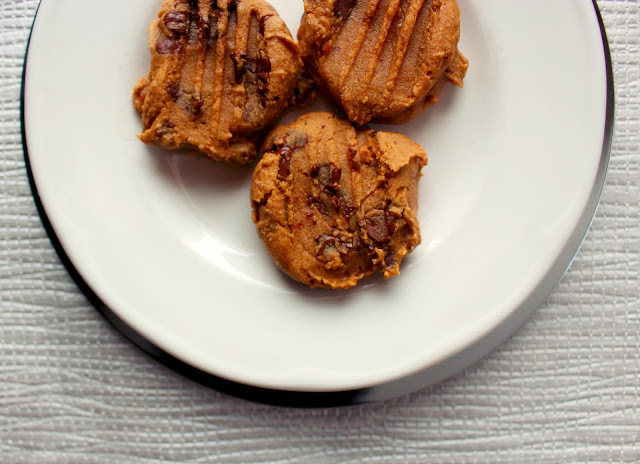 I can assure you that your family members will not be mad at these -- they taste like good bakery-style soft cookies (vegan and gluten free or not). I hope you enjoy them! Add banana, cacao, olive oil, coconut oil, coconut sugar, salt and spices, liquid sweetener to a mixing bowl. Mash together until the banana is well mashed, then whisk mixture for a couple of minutes. Add the BP, BS and vinegar a whisk to incorporate. Stir in the flours until well mixed. Stir in about 1/4 cup of hot water to thin to a thick cake or brownie batter consistency. Stir in chocolate chips. 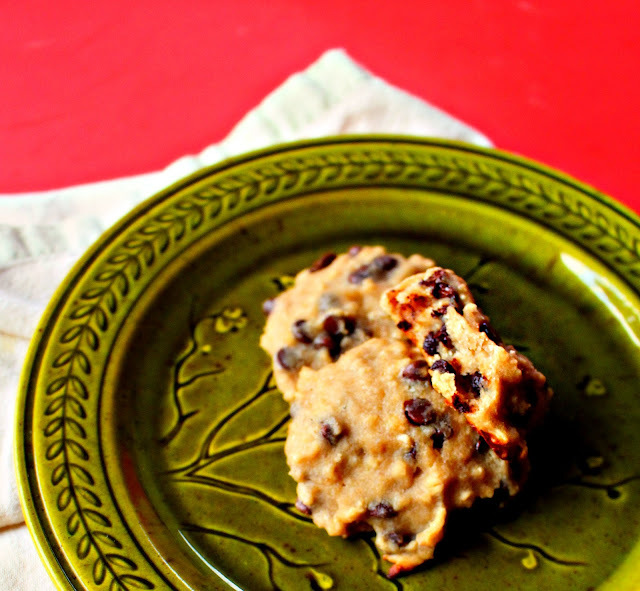 Taste the cookie dough (if you are ok with that) to test its sweetness. Add more flour if too sweet, or more coconut sugar if not sweet enough, mixing well. 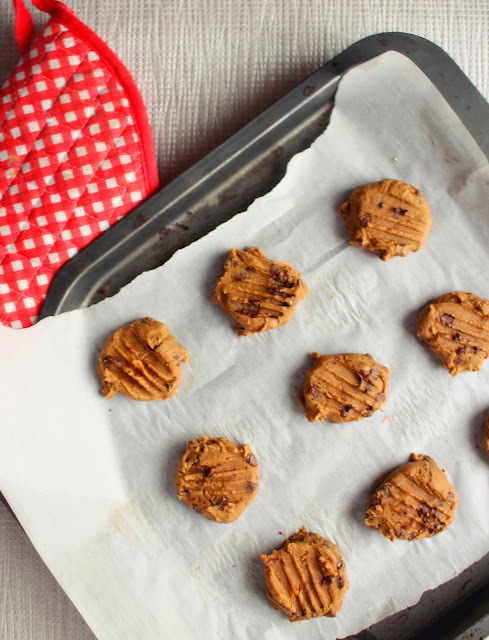 Using a large spoon, drop spoonfuls of the batter on parchment lined baking sheets, ensuring an inch around each so the cookies can spread as they bake. Bake in 350F for 10-11 minutes, rotating your trays half way through for best results. They are done when the bottoms are brown and the tops are soft but not too soft. These can burn easily so take them out on time. Cool and enjoy. Life has thrown me a ton of curve balls recently. Without going into too much detail, this past year was really difficult. But things are starting to look up for me and my little family! I moved to an exciting new city with my husband, and am finally settled in. My health is on the upswing after a major decline in recent months (likely due to stress). And I'm starting to dream up new recipes again after a serious slump in creativity. 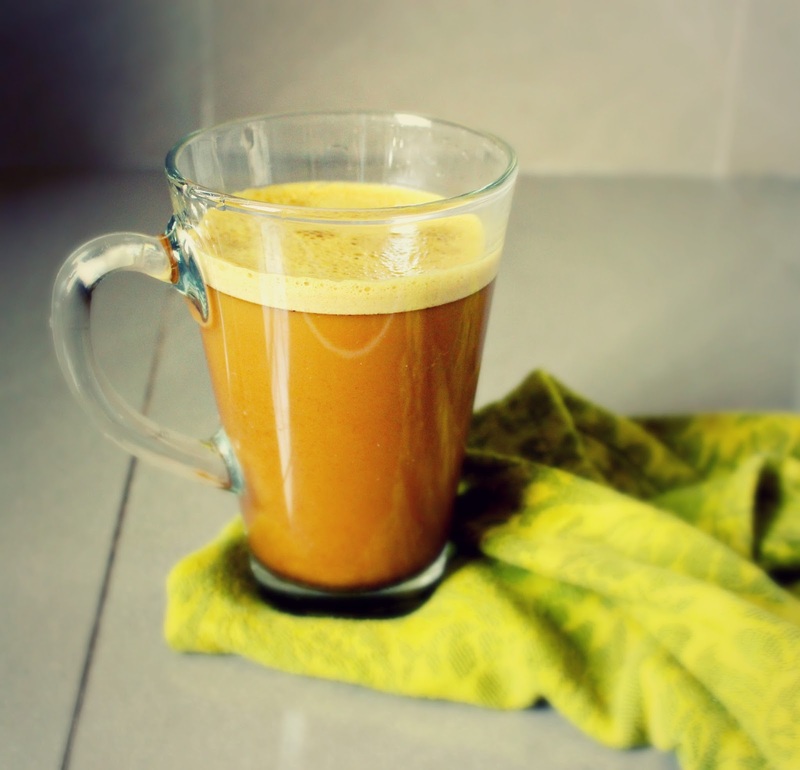 Have you heard of "Golden Milk"? 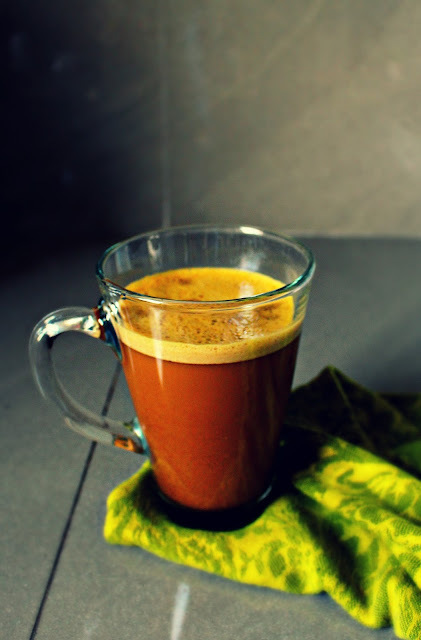 It's basically a non dairy milk recipe that you enjoy hot that's full of warming and super healthy spices like turmeric. I have a great recipe for it in my ebook. Inspired by the beauty of golden milk, I decided to make an easy coffee based version for people who want a healthier latte in the morning. 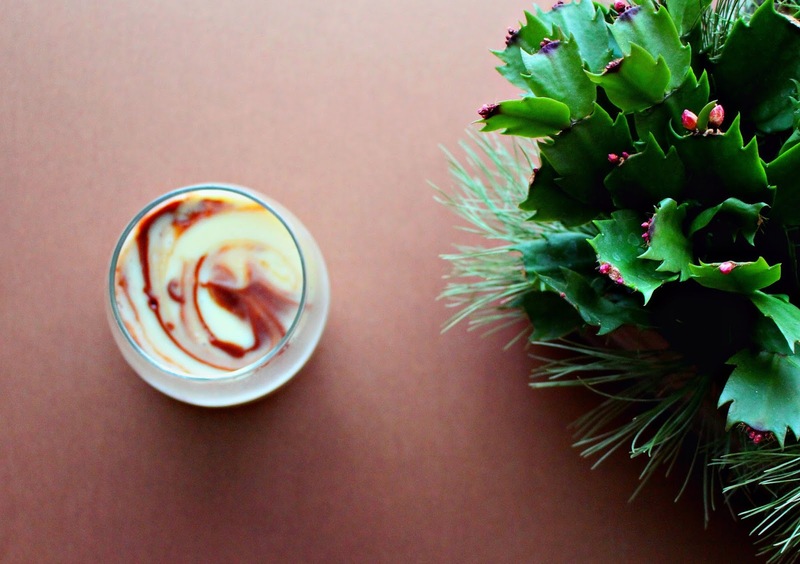 Enter this beautiful Golden Latte. I really love this drink and thankfully it loves me back. I don't drink a lot of coffee anymore but a decaf latte once in a while can be incredibly soothing and relaxing. 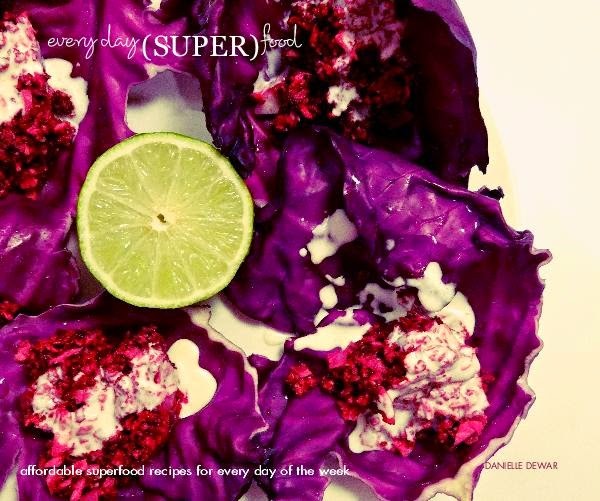 Anyone who follows this blog probably knows how much I love to throw healthy things into classic recipes. This Vegan Turmeric Latte is no exception. Made with a few simple and easy-to-find ingredients (decaf organic coffee, turmeric, vanilla extract, coconut milk and stevia), this sweet drink is delicious and pretty innocent. 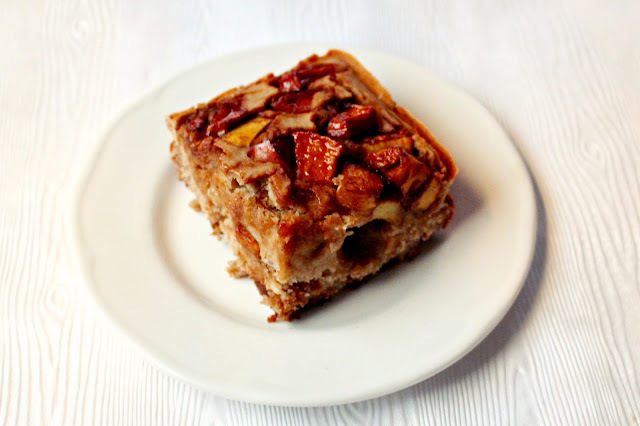 It's very allergy-friendly too as it's vegan, gluten-free, paleo, sugar-free, nut-free, and soy-free. It's also easy to make at home without any expensive special equipment. 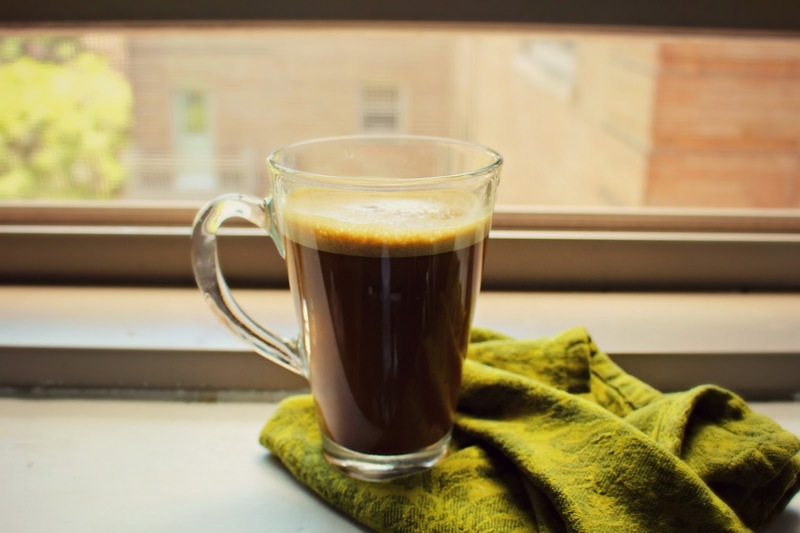 All you need is your favourite tool to brew some coffee and a blender. This recipe is so quick and easy that I made a recipe video for it. Be sure to check it out and subscribe to my YouTube channel for more. I plan to contribute more YouTube recipe videos on a regular basis soon. Add all ingredients to a blender and blend on the highest setting for a minute or two. Pour into a mug and enjoy. I'm usually not a big fan of icing-less cakes -- the coffee cake genre in general, really. But apple cake has always been a favourite of mine. 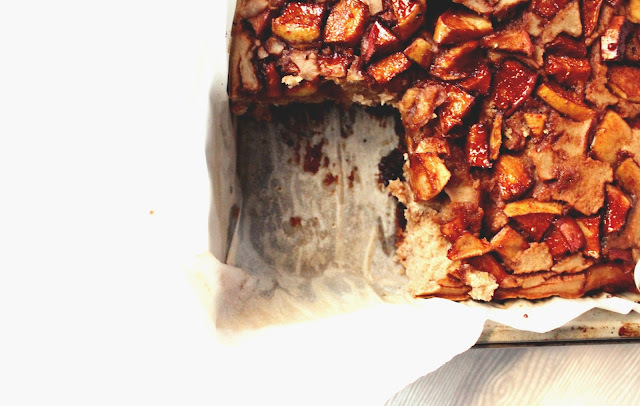 Lightly spiced cake stuffed to the brim with caramelized spiced apples -- what's not to love? 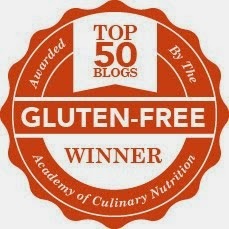 Well, apart for the fact that its almost never vegan or gluten free -- until now! My Healthy Apple Cake is the perfect 'company's coming' cake. The secret recipe to keep in your back pocket for last minute get togethers that require something sweet, but not too fancy. This no-fuss cake is a breeze to make and a dream to eat. You probably have most of the ingredients already in your pantry -- making it an especially great option for a spur of the moment dessert. Oats are a great pantry item if you're gluten free, but not necessarily if you're celiac. A lot of celiacs cannot tolerate them so if you're making this cake for a friend who is celiac be sure to ask if they can eat oats and be sure to use certified gluten free (or wheat free) oats if you use them. Oats make this cake soft, tender and give it some lift. If you need to replace them you could try quinoa flakes but the flavour will be much more bitter so sweeten up your batter a little more. 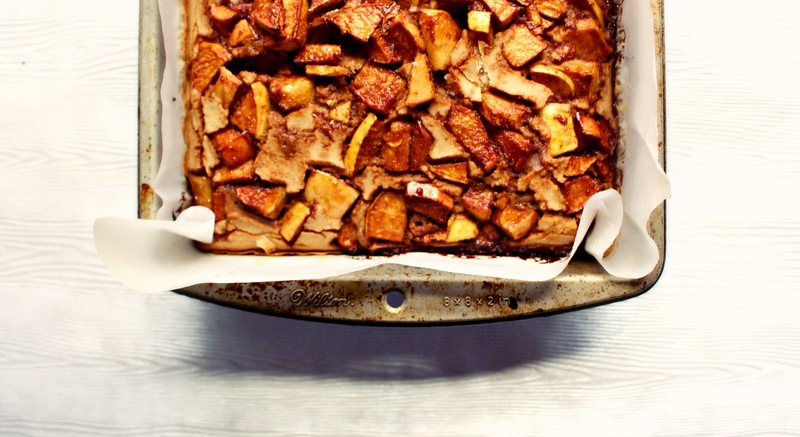 The key to this cake is cinnamon, apples, and brown sugar (coconut sugar). 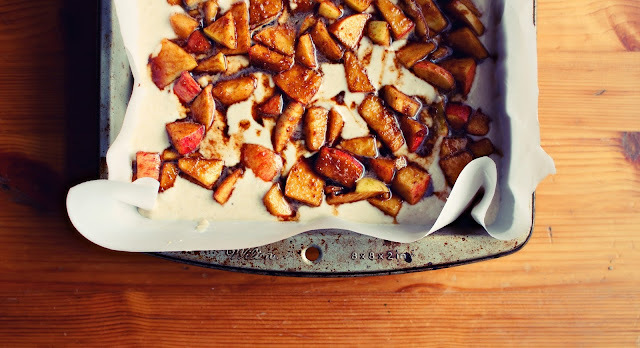 They make this amazing apple pie filling style topping that seeps down into the cake as it bakes, flavouring every bite. 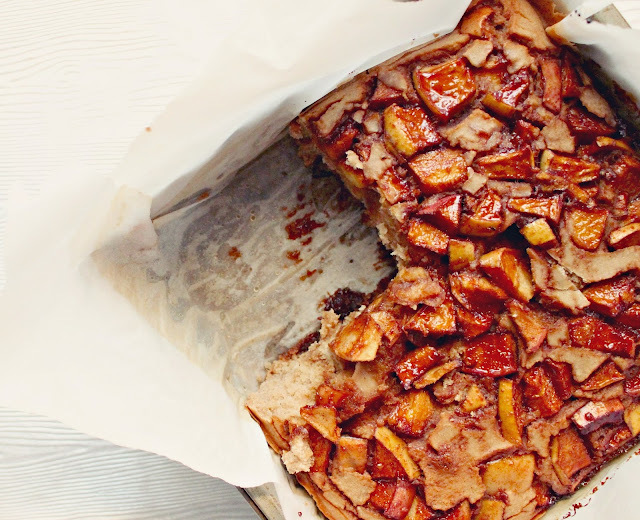 Try this Healthy Apple Cake for your next get-together, or just for you. I enjoyed it with my husband on an easy going Thursday night, and then again for breakfast the next day. Its excellent warm, hot or cold. 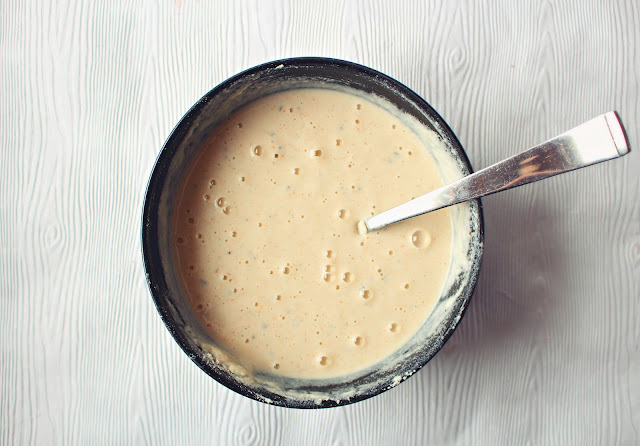 In a blender, puree all cake batter ingredients together until smooth. Taste. Sweeten to your taste with the stevia, adding a little at a time (blending and tasting) keeping in mind the cake topping is very sweet so you want the batter to be lightly sweetened but not bland. Pour batter into a square cake pan lined with parchment paper or greased lightly with oil to prevent sticking. 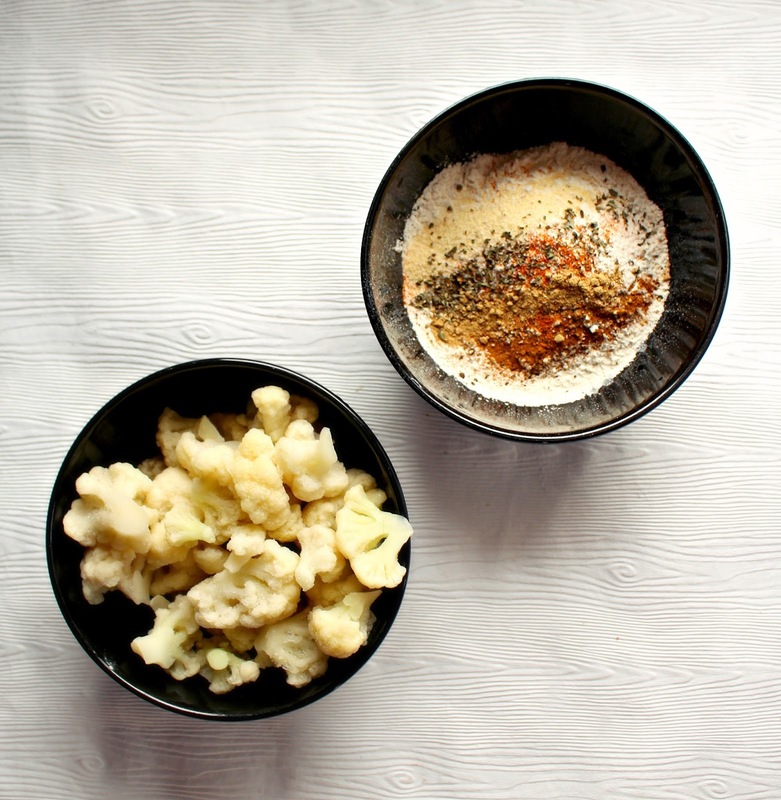 Add all topping ingredients to a bowl, mix well to coat the apples. Once topping is mixed well add evenly to top of the cake batter in the pan so there will be apples in every piece of cake. Bake in oven preheated to 375F. Bake 22-30 minutes until a toothpick inserted into the middle of the cake emerges mostly clean. Cool slightly and serve. I've certainly made them many ways. I never follow a recipe so that sort of guarantees a different outcome every time. I love how you can take more or less the same ingredients and make something totally different. It all comes down to chemistry. Take for example hydrogen peroxide (H2O2) versus water (H2O) -- they start out with the exact same basic components, but end up with a totally different result. I think that's sort of why I love baking so much. As a baker you get to start on a level playing field -- using the same basic ingredients as everyone else -- but then you get to play around with those ingredients and make your own unique creations. Back to these cookies. 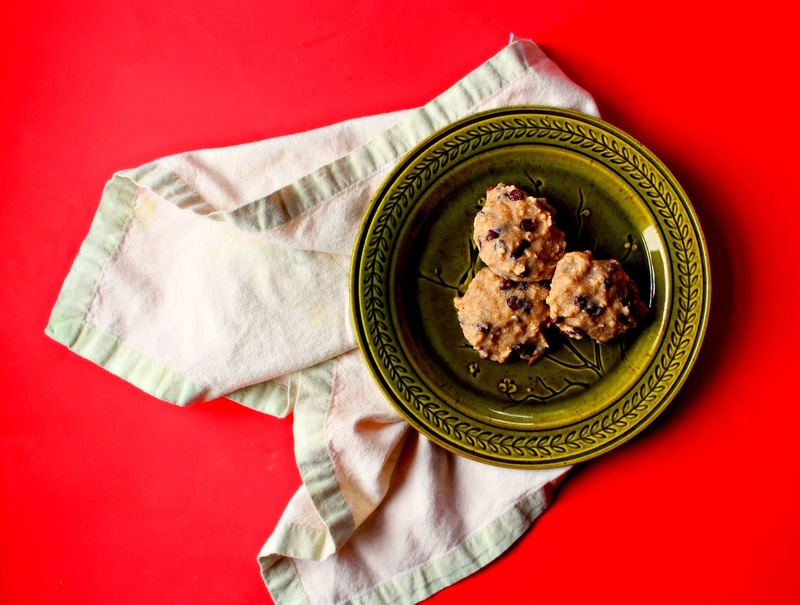 My best tip for anyone looking to create the cookies of their dreams is to taste the dough. To me this is what separates a chef from a cook. A chef tastes and adapts -- they don't just follow a recipe to a T and stick it in the oven hoping for the best. To me this is essential to good baking, and cooking generally. If you don't like the taste of the dough, chances are you won't like the taste of the end product either. Another tip is to sweeten your dough a tiny bit more than you think you need to -- especially if you use any water based sweeteners like liquid stevia in your baking. I find these tend to dull down in the baking process. Its taken me a long time to sweeten my desserts enough to please my husband too. Why? Because we have different taste buds. I like desserts to be less sweet than he does. So, second tip, if you're baking for someone else (like your partner or your kids or your friends), have them taste the dough too. If they like it then you're good to go. 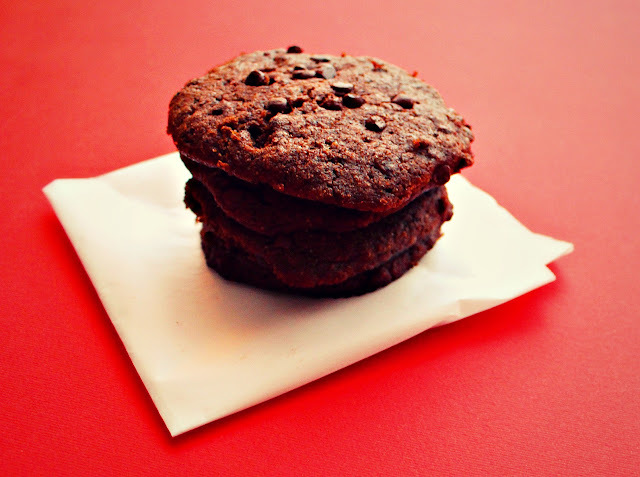 Below you'll find my recipe for my latest spin on delicious, fudgey, sweet and dense chocolate chip cookies. 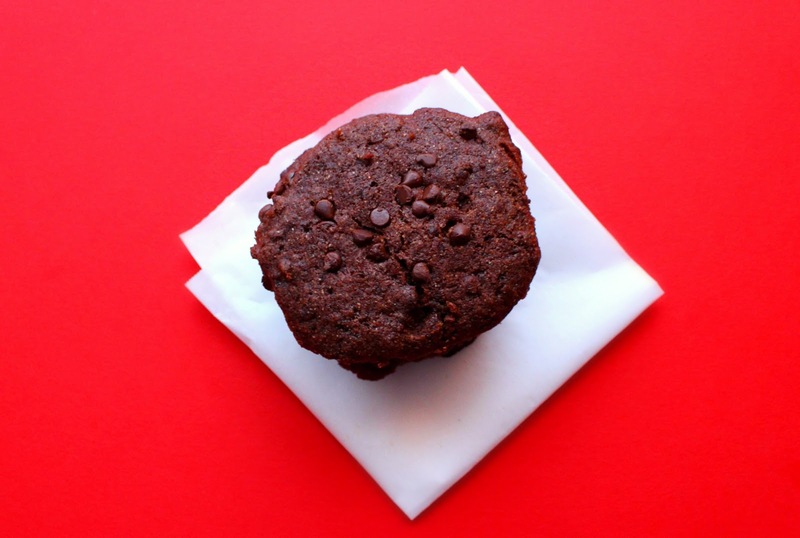 They are gluten free and vegan and sweetened with low glycemic coconut sugar. I'd normally tell you to make this recipe, but I'd rather you use it as a starting point and make it your own. chocolate chips and pulse to incorporate. Dough should be thick and slick. Spoon tablespoon sized drops of dough onto parchment lined baking sheet and freeze 10 minutes while you preheat oven to 375F. Press down each cookie with the tines of a fork. Bake 10-12 minutes. 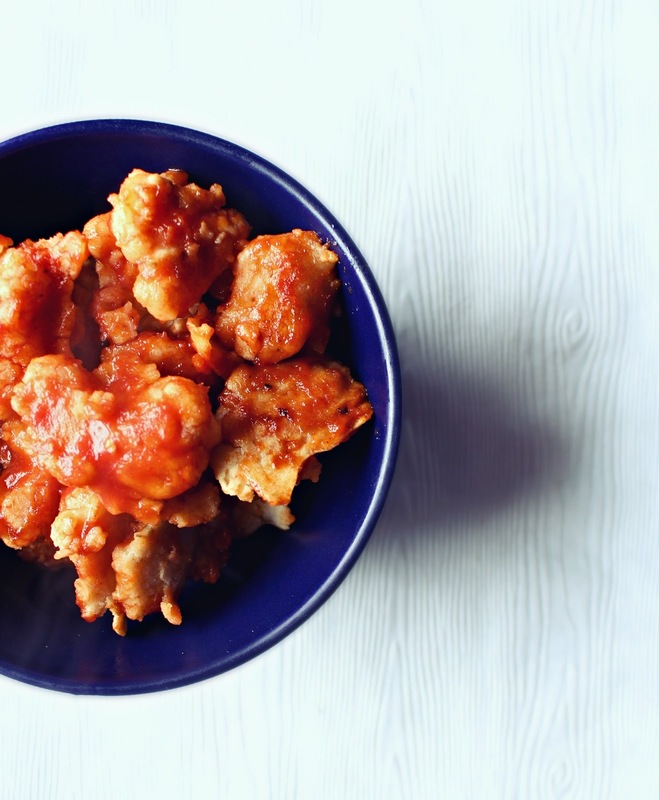 Praised for its health benefits and versatility, cauliflower is popping up in a ton of special diet communities -- from vegan to paleo. Its been one of my favourite veggies for awhile -- ever since I realized that it could be used instead of dairy in creamy sauces, and instead of chicken. I love it as a rice alternative too. But my latest obsession is with cauliflower wings. In case you've been living on the moon this year, cauliflower wings are a super popular thing now. Vegan bloggers love to eat them on the regular and restaurants are even serving them instead of chicken wings. Truth is they are that good. batter it and bake/fry it until crispy. Before I went vegan BBQ chicken was one of my favourite things. I really loved it in the summertime. 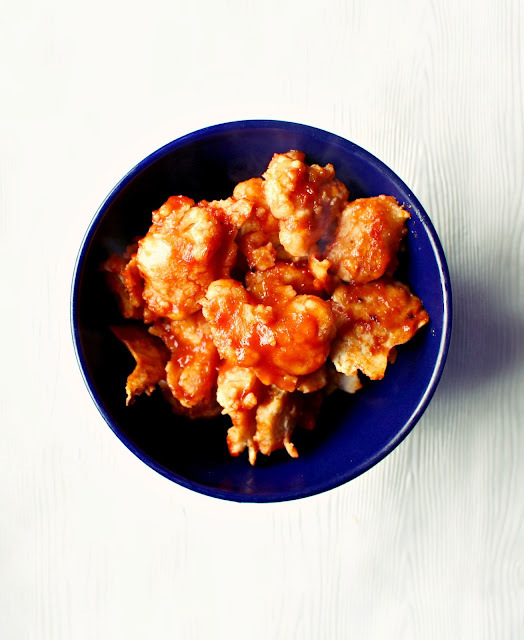 I haven't had it in years but these delicious BBQ Cauliflower Wings remind me of it a lot. And hey they're cruelty free, gluten free and 100% salmonella-free! Three cheers for cruciferous veggies. The method for these wings is super simple. Batter, bake, drizzle, bake again, drizzle. That's all she wrote. Was that really so hard? I didn't think so. 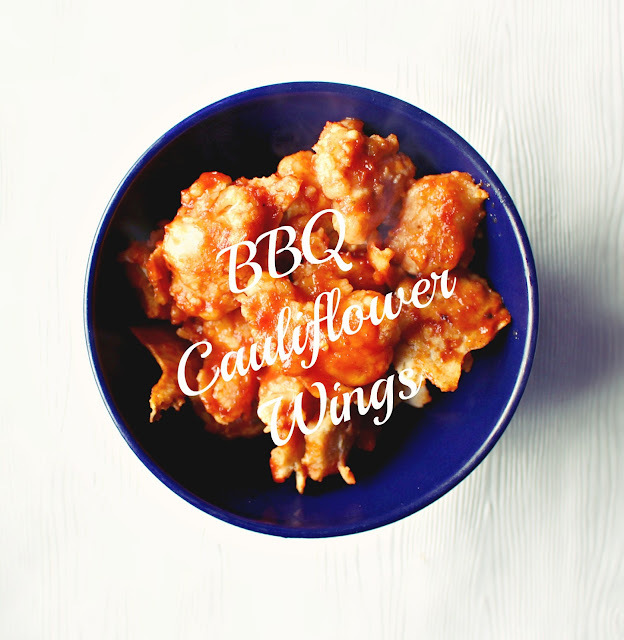 My version is a little different than the recipes I've found for cauliflower wings online. My batter is gluten free, oil-free and whole grain. I also like to bake my wingz instead of fry them. And I make my own BBQ sauce in a jiffy while they hit the oven. I bake them until crispy, drench them in sauce, bake them again, drench them in more sauce and devour. What can I say, I'm a saucy lady. Are you ready for these plantbased wonders? 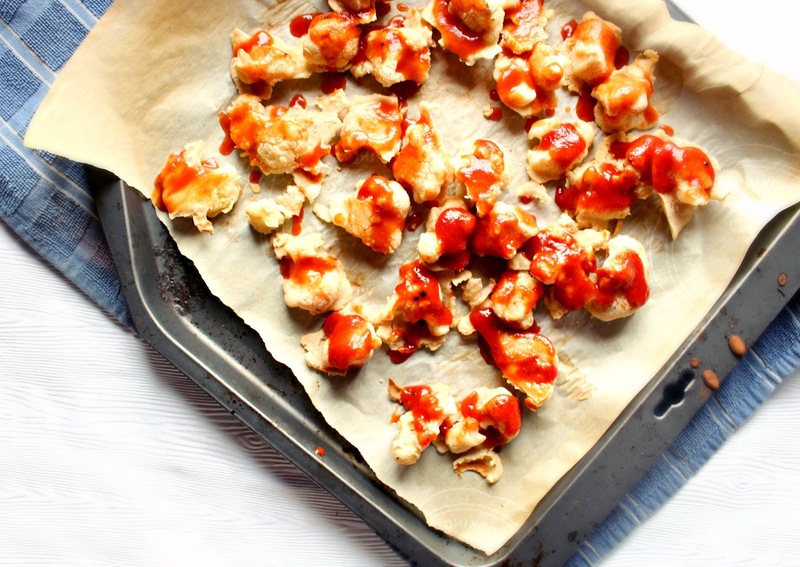 Give them a try this week or anytime you crave BBQ chicken. Preheat oven to 450F. 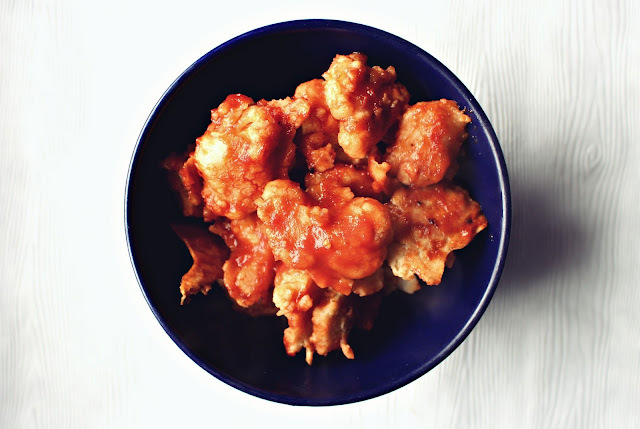 Steam frozen cauliflower to thaw or use fresh. Make sure they are in nice floret pieces (not too tiny). Mix batter together in a bowl until smooth like a waffle batter. Dip each floret to fully coat, gently tap off excess into batter bowl. Arrange on a parchment paper lined baking sheet. Bake in hot oven for about 15 minutes, flip all pieces with a spatula and bake another 10 minutes. 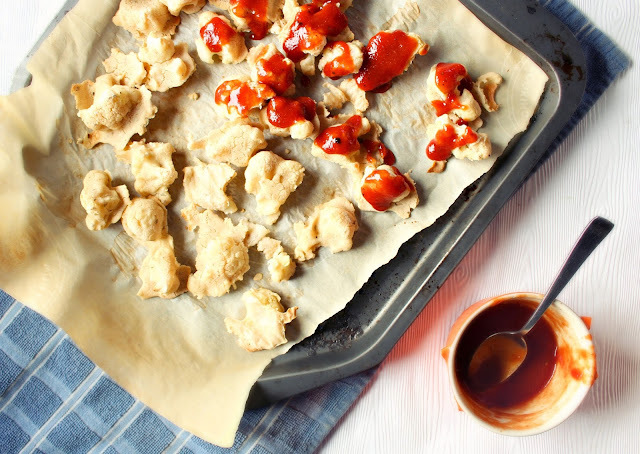 If adding a sauce like BBQ sauce for wing style cauliflower, baste the cauliflower bites with some of the sauce and return to the oven for 10 more minutes. Remove from the oven and baste with more sauce. Serve with spicy vegan mayo. Stir all sauce ingredients together in a bowl. Use as sauce to baste the wings. There was once an extended period of time when I ate peanut butter every day without fail. It often left my digestion out of whack so after awhile I began to look for healthier alternatives. My favourite PB replacement is still pumpkin seed butter (FYI). 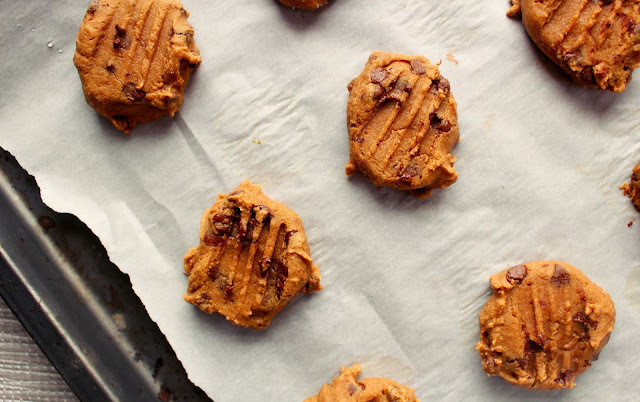 Never cared for almond butter or sunflower seed butter -- but you could totally substitute them in this recipe if you want to. 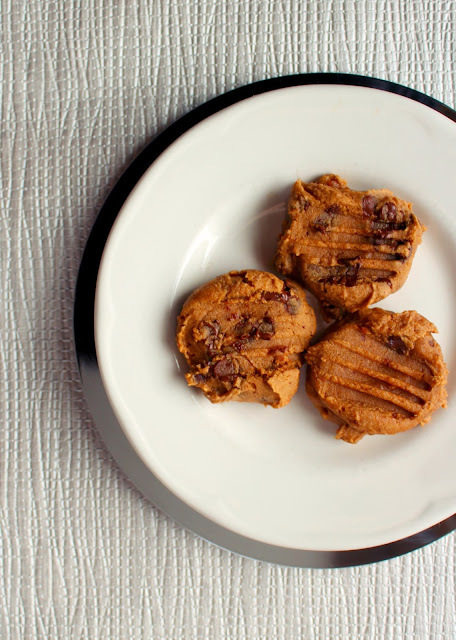 The thing is, there's something special about peanut butter that's hard to imitate. Sometimes a girl just needs it. Today was one of those times. So after diving into my husband's pb stash with a spoon for awhile I decided to keep the peanut butter love going by swirling a few tablespoons into these delicious soft and cakey chocolate chip cookies. The resulting cookies were pretty fantastic -- not to mention gluten free and vegan. 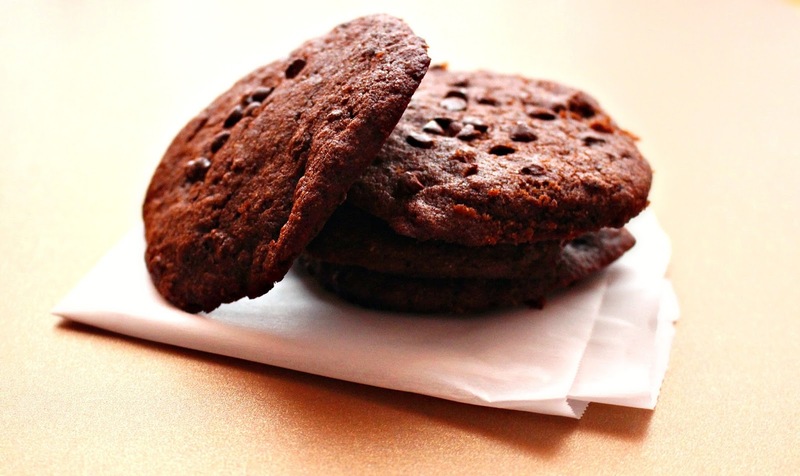 These cookies are light and cakey, sweet and nutty, and loaded with mini vegan chocolate chips in every bite. 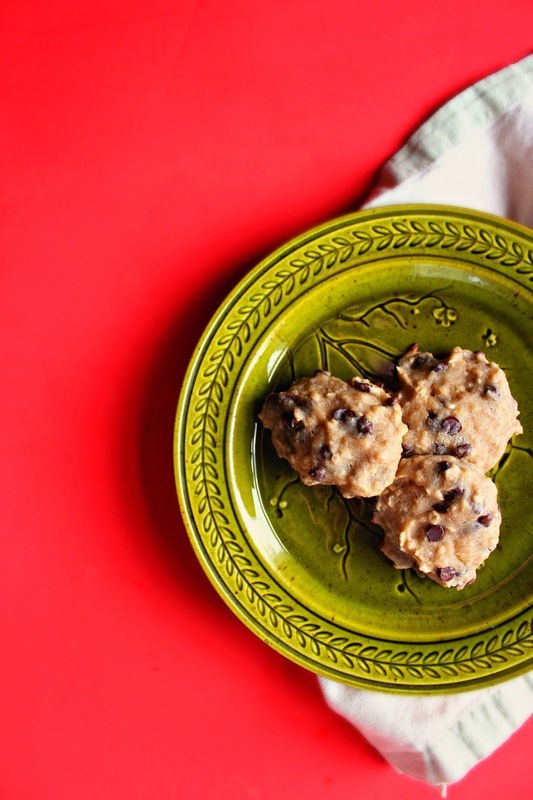 They are the perfect healthy weekend treat as they are oil-free, whole grain, naturally sweetened with fruit and maple syrup, and full of fibre and protein. They're also very easy to make by hand -- no special equipment required. A great recipe to make with kids. Combine all dry ingredients in a mixing bowl, set aside. 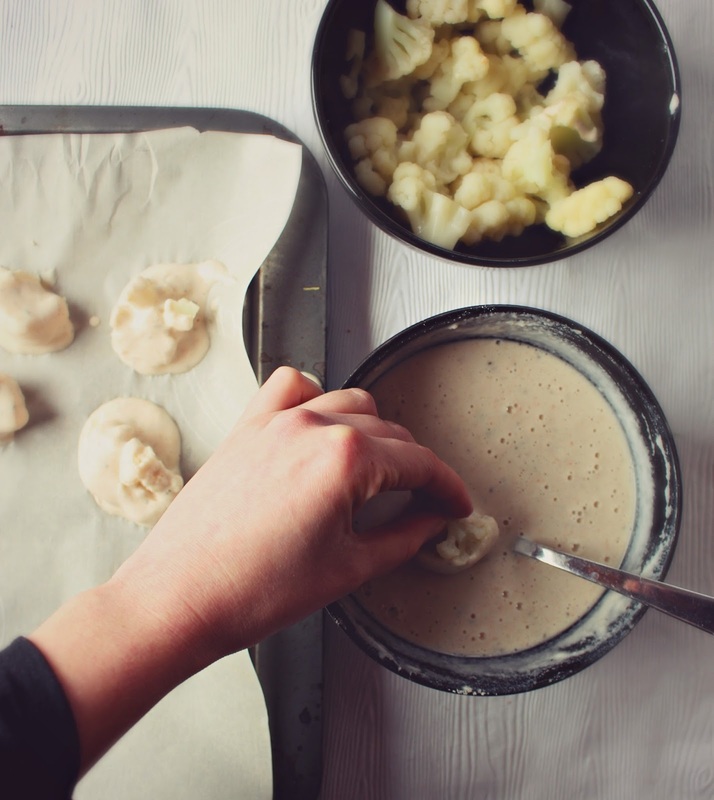 Mix all wet ingredients together in a bowl and ensure the mixture is not super lumpy (mash your banana well). Add wet ingredients to dry and mix well by hand until you have a wet cookie dough. Preheat oven to 375F. Arrange spoonfuls of dough onto a parchment lined baking sheet as you would with any cookie dough (leaving space around each blob so the cookies can spread as they bake). Bake in the hot oven for 10-12 minutes. Who wouldn't love a personal size apple pie? 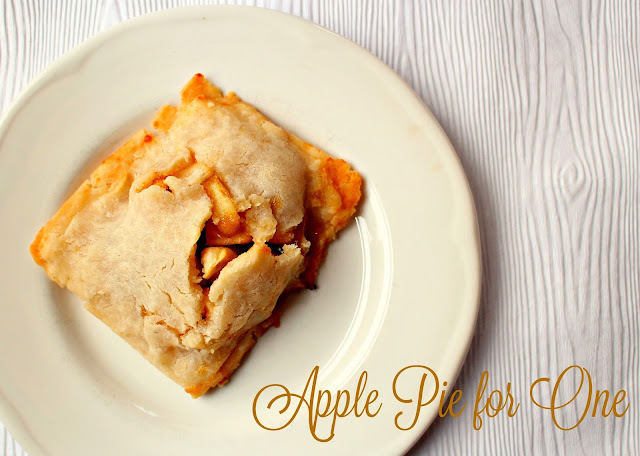 Pie is without a doubt one of the most comforting foods on the planet. Give everyone on Earth their own piece of pie, throw some caramelized apples and cinnamon in there and you have a recipe for world peace. Tell me I'm wrong. Combine dry ingredients in a bowl. Mash in coconut oil with a fork. Gradually add in a little bit of cold water until a shaggy dough forms. Roll into a ball, wrap in plastic wrap and freeze while you make the filling. Add everything to a small pot and mix well. Cook two minutes over medium heat until the liquid is sticky and thickened. Remove from heat. 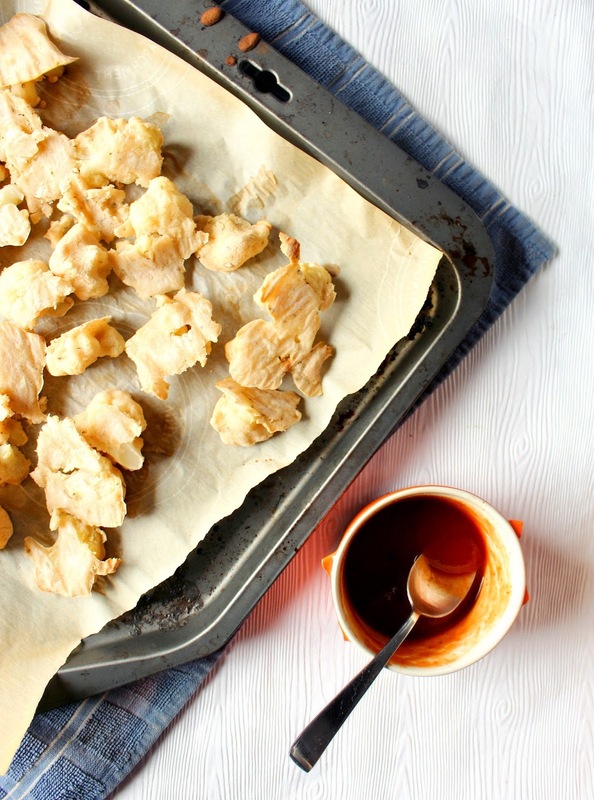 Remove pastry from freezer and roll out into a rectangle shape between two sheets of parchment paper. Cut into two equal size rectangles (if making 1 pop tart, or cut into 4 equal pieces if making 2 pop tarts). Fill the center of one piece of pastry with a little filling. Top with the other piece and press the edges of the pastry together gently, trying to keep filling inside the pocket. Add a small slash on top to let steam escape. Bake in oven preheated to 375F until filling escaping from the slash is golden and bubbly.